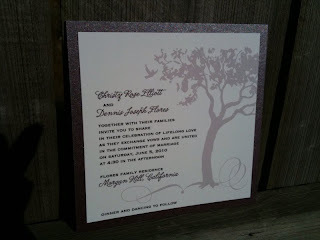 We shipped out Christy & Dennis' wedding invitations today. They are a great example of taking one of our designs and making it your own. 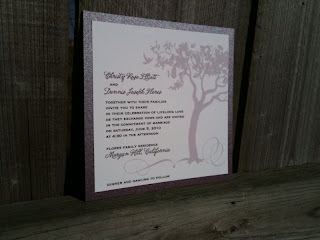 She started with our very popular Tree of Love wedding invitation set. We took the pocketfold off, changed the colors & changed the fonts. They turned out really pretty. 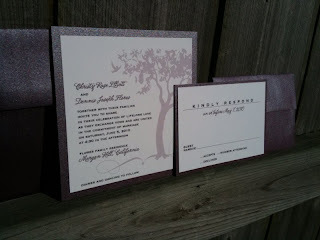 Because we make each invitation suite to order, brides have the freedom to change anything they want! I love this because each suite we do is totally unique!